Home / SOUNDTRACK BITES / Award-Winning Composer Michael Giacchino Scoring Disney's "Zootopia"
Award-Winning Composer Michael Giacchino Scoring Disney's "Zootopia"
BURBANK, Calif. (Nov. 17, 2015) – Award-winning composer Michael Giacchino marks his first-ever collaboration with Walt Disney Animation Studios for next spring’s big-screen adventure “Zootopia.” Featuring an 80-piece orchestra and conductor Tim Simonec, Giacchino’s score is being recorded this week. Giacchino’s credits feature some of the most popular and acclaimed film projects in recent history, including Disney•Pixar’s “Inside Out,” “TheIncredibles” and “Ratatouille,” as well as “Jurassic World,” “MissionImpossible: Ghost Protocol” and “The Dawn of the Planet of the Apes.” His score for Disney•Pixar’s 2009 feature “Up” earned him an Oscar®, a Golden Globe®, the BAFTA, the Broadcast Film Critics' Choice Award and two GRAMMY® Awards. Said Giacchino, “We've had a lot of fun working together and the directors have been wonderfully supportive of me throughout the entire process, giving me an incredible amount of freedom to really explore the tone and emotional side of the story. Added Howard, “Michael approaches composing from an intuitive, emotional place that's so completely personal to him, but at the same time, his themes and musical storytelling are completely universal. You fall in love with the music the instant you hear it." The modern mammal metropolis of Zootopia is a city like no other. Comprised of habitat neighborhoods like ritzy Sahara Square and frigid Tundratown, it’s a melting pot where animals from every environment live together—a place where no matter what you are, from the biggest elephant to the smallest shrew, you can be anything. But when rookie Officer Judy Hopps (voice ofGinnifer Goodwin) arrives, she discovers that being the first bunny on a police force of big, tough animals isn’t so easy. Determined to prove herself, she jumps at the opportunity to crack a case, even if it means partnering with a fast-talking, scam-artist fox, Nick Wilde (voice of Jason Bateman), to solve the mystery. 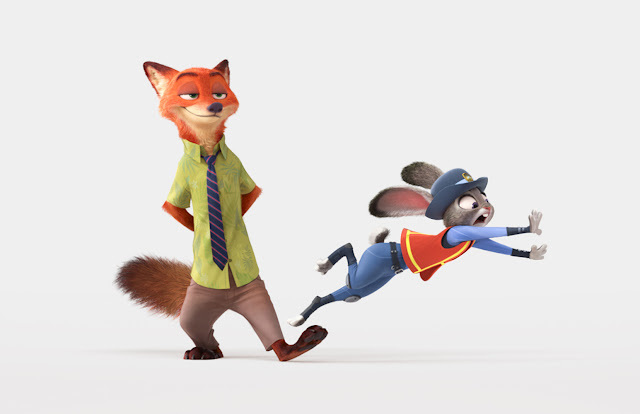 Walt Disney Animation Studios’ “Zootopia,” a comedy-adventure directed by Byron Howard (“Tangled,” “Bolt”) and Rich Moore (“Wreck-It Ralph,” “The Simpsons”), and produced by Clark Spencer (“Wreck-It Ralph,” “Lilo & Stitch”), opens in Philippine theaters on March 02, 2016.